The HiperLAM, High-Performance Laser-based Additive Manufacturing consortium, is a Research and Innovation initiative which received funding from the European Union's Horizon 2020 under Grant Agreement No. 723879. It is also a part of the Photonics and Factories of the Future Public Private Partnerships. 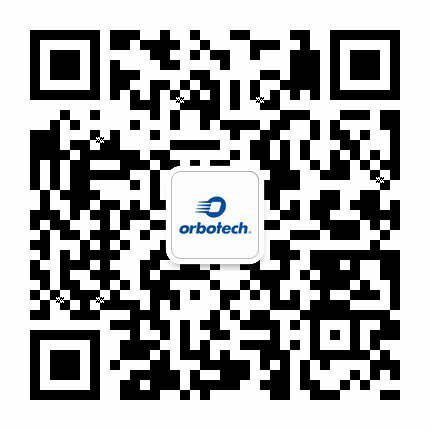 Orbotech serves as the HiperLAM consortium coordinator and project manager, on top of its role as a key researcher and co-developer of an innovative Laser Induced Forward Transfer (LIFT) technique for Nano-particle metallic inks. LIFT is a high resolution additive printing process, that dramatically reduces production costs and time compared to the current subtractive process used in electronics manufacturing. For more information on HiperLAM, please click here. The HI-RESPONSE project will overcome the current limitation relating to the resolution, viscosity and engineering design through the development of a highly innovative pulsed Electro-static printing technology (ESJET). The Hi-Response project has received funding from the European Union’s Horizon 2020 research and innovation programme under Grant Agreement No. 646296. For more information on High-Response, please click here. The LORIX Horizon 2020 project aims to develop, prototype and demonstrate large area X-ray detectors enabled by organic electronics. The project has received funding from the European Union's Horizon 2020 research and innovation programme under grant agreement No. 644103. For more information on LORIX, please click here. ILTAM is a union of industrial companies, supported by the Israeli Innovation Authority and operating as a non-profit organization. ILTAM is intended to assist in developing, distributing and deploying new technologies, from Israel and abroad, among the Israeli industry Orbotech takes part in ILTAM presidency and leads the system engineering activities in the civil (non-defense) industries. We assist in planning industry events while partaking in seminars, conferences, workgroups, technical meetings and more. Orbotech participates in such events by delivering lectures, joining committees and workgroups. For more information on ILTAM, please click here. The International Council on Systems Engineering (INCOSE) is a not-for-profit membership organization founded to develop and disseminate the interdisciplinary principles and practices that enable the realization of successful systems. Their mission is to address complex societal and technical challenges by enabling, promoting, and advancing systems engineering and systems approaches. As one of the leading Israeli companies in the field of system engineering, Orbotech has an active role in the Israeli chapter (INCOSE_IL). This includes planning and partaking in seminars, conferences, workgroups and technical meetings. Orbotech employees participates in the industry events, give lectures and take part in specific committees and workgroups. For more information on INCOSE, please click here. The Israel Innovation Authority, formerly known as the Office of Chief Scientist, is responsible for the country’s innovation policy and is an independent and impartial public entity that operates for the benefit of the Israeli innovation ecosystem and Israeli economy as a whole. Its role is to nurture and develop Israeli innovation resources, while creating and strengthening the infrastructure and framework needed to support the entire knowledge industry. For more information about the Israel Innovation Authority, please click here. The Responsible Business Alliance (RBA), formerly the Electronic Industry Citizenship Coalition (EICC), is the world’s largest industry coalition dedicated to electronics supply chain responsibility. The RBA is a nonprofit comprised of electronics, retail, auto and toy companies committed to supporting the rights and wellbeing of workers and communities worldwide affected by the global electronics supply chain. RBA members commit and are held accountable to a common code of conduct and utilize a range of RBA training and assessment tools to support continuous improvement in the social, environmental and ethical responsibility of their supply chains. For more information on RBA, please click here. Advanced Laser Technologies for Industrial Applications (ALTIA) is a consortium of laser manufacturers, component manufacturers, end user companies and researchers in the field of electro-optics from leading research institutions. The consortium develops new laser technologies for industrial use, and places an emphasis on finding inexpensive solutions for high power CW lasers and high energy pulsed lasers. Orbotech is leading the laser applications work group, aimed at demonstrating the feasibility of laser micromachining processes. For more information on Altia, please click here. CS-Connected represents organisations who are directly associated with research, development, innovation and manufacturing of compound semiconductor related technologies as well as organisations along the supply chains whose products and services are enabled by compound semiconductors. The UK, and in particular, Wales, is home to a growing number of organisations and businesses that are active in this increasingly important industry sector. The FOA is an international, nonprofit, trade association of semiconductor & MEMS fab owners and industry suppliers who meet regularly to discuss and act on common manufacturing issues, combining strengths and resources to become more globally competitive. For more information on FOA, please click here. The International Microelectronics Assembly and Packaging Society (IMAPS) is the largest society dedicated to the advancement and growth of microelectronics and electronics packaging technologies through professional education. The Society’s portfolio of technologies is disseminated through symposia, conferences, workshops, professional development courses and other efforts. IMAPS currently has more than 3,000 members in the United States and more than 3,000 international members around the world. For more information on imaps please click here. MEMS & Sensors Industry Group (MSIG) is a SEMI Strategic Association Partner, advancing MEMS and sensors across global markets. NMI recognises the vital role of the UK in a World critically dependent on Electronic Systems. Our Mission is simple: To increase the quality and quantity of electronic engineering and manufacturing in the UK. For more information on nmi, please visit here. The industries, companies, and people SEMI represents are the architects of the electronics revolution. SEMI members are responsible for the innovations and technologies that enable smarter, faster, more powerful, and more affordable electronic products and devices that bring the power of the digital age to more people every day. For more information on semi, please visit here. The Institute of Microelectronics (IME) is a research institute of the Science and Engineering Research Council of the Agency for Science, Technology and Research (A*STAR). Positioned to bridge the R&D between academia and industry, A*STAR IME's mission is to add value to Singapore's semiconductor industry by developing strategic competencies, innovative technologies and intellectual property. Its key research areas are in integrated circuits design, advanced packaging, bioelectronics and medical devices, MEMS, nanoelectronics, and photonics. For more information on IME, please visit here. Shanghai Ying Zhan Exhibition Service Co., Ltd., a joint-venture with Hong Kong investment, was founded in March, 1997 in Shanghai, concentrating on business consultation and exhibition service. As a member of China Printed Circuit Association and Shanghai Exhibition Association, they enjoy great publicity in both electronic profession and exhibition trade. For more information on CPCA, please visit here. The Japan Electronics Packaging and Circuits Association (JPCA) was established in 1962 as a voluntary, non-profit organization to support printed wiring board manufacturers and other related industries in Japan. This 365-member organization promotes the development of the industry through initiatives such as standards development, education, market research, technical symposiums, business matching and environmental compliance. For more information on JPCA, please visit here. HKPCA is a non-profit making association which was founded in Hong Kong. Being one of the members of World Electronic Circuits Council (WECC), they have close connections with overseas printed circuit associations and they work to promote and protect the rights and interests of the printed circuit industry. For more information on HKPCA, please visit here. IPC is the global trade association serving the printed board and electronics assembly industries, their customers and suppliers. IPC is dedicated to furthering the competitive excellence and financial success of its members, who are participants in the electronics industry. For more information on IPC, please visit here. The EIPC, The European Electronics Association is an international service provider to the European interconnection and packaging Industry. The EIPC is a network of professionals of the electronics industry providing platforms to exchange business & technology information for the success of the European electronics industry. For more information on EIPC, please visit here. Taiwan Printed Circuit Association (TPCA) is a non-profit association established in 1998 with theobjective to promote the Taiwan's competitiveness in the circuit board industry and maintain close ties with overseas associations and experts. For more information on TPCA, please visit here. Industrial Technology Research Institute (ITRI) is one of the world’s leading technology R&D institutions aiming to innovate a better future for society. Founded in 1973, ITRI has played a vital role in transforming Taiwan's industries from labor-intensive into innovation-driven, focusing on smart living, quality health, and sustainable environment. ITRI has incubated over 300 innovative companies, and serves as a pioneer for industries by strengthening its capabilities of multidisciplinary innovation and cooperation with international partners all over the world. For more information on ITRI, please visit here. For more information on Orbotech and ITRI collaboration click here. The Society for Information Display was formed in 1962 and is comprised of the top scientists, engineers, corporate researchers, and business people of the display industry. SID was mission is to promulgate display technology, publishing a monthly journal of SID, Information Display magazine, and our annual digest of technical papers, which is presented at our annual spring Display Week Symposium and Exhibition. For more information on SID, please visit here.